Even if you are already using the Internet to market your business, you should consider adding affiliate marketing to you Internet marketing campaign. Affiliate marketing, when done right, can yield a great deal of positive results for your business. 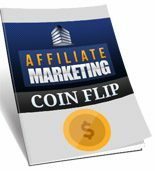 Furthermore, even when affiliate marketing is not done right, it will not likely be financially detrimental to the business. This is because affiliate marketing is essentially an advertising program in which you only pay the affiliates when their marketing efforts yield financial results for your business. This report will take a look at affiliate marketing and explain how it works and how you can maximize the benefits of affiliate marketing. Affiliate marketing essentially involves having website owners, known as affiliates, post advertisements for your website on their own website. You can lear more about affiliate marketig by checking out the Internet marketing blog at www.jeremyburns.com for weekly updates. Affiliate advertisements encourage visitors to click on the link and visit your website. The advertisements are specially coded to allow you to determine how many visitors enter your website through this advertisement. Unlike other types of Internet advertising where the business owner pays for the opportunity to place the advertisement on the website, an affiliate program does not work this way. Instead the affiliate is paid when the advertisement yields a desired result. Affiliate advertisement can work on a pay per impression, pay per click, pay per lead or pay per sale basis. Pay per impression means the affiliate earns a profit each time the affiliate advertisement is served. This means for each unique visitor who views the advertisement the affiliate is given a predetermined amount of money. This amount will depend on a number of factors and will be agreed upon by the business owner and the affiliate before the advertisements begin appearing on the affiliate’s website. Pay per click programs reward the affiliate each time a visit clicks through the advertisement. Pay per lead programs reward the affiliate when a visitor not only clicks on the advertisement but also performs a desired action such as filling out a survey or registering with the website. Pay per sale programs reward the affiliate each time a visitor clicks through the advertisement on the affiliate’s website and also makes a purchase during this visit. The compensation plans associated with affiliate programs are so desirable because the business owner can have a number of affiliates and they only have to pay these affiliates if the advertising on the affiliate’s website is effective. Affiliate marketing does not always work. When seeking out affiliates it is important to look for a number of different factors. An affiliate with a great deal of experience, a website with high traffic and a proven track record for producing positive results will likely be a good choice for an affiliate marketing program. These affiliates rely on their advertising knowledge to promote the businesses and do not necessarily have to understand the business they are promoting. Another excellent choice for affiliate marketing is to select another business that is closely related to your own business but does not compete with your business. This is a good idea because they may share your target audience and their website visitors will also likely be interested in visiting your website as well. For example if you sell running shoes you may wish to run an affiliate marketing campaign on a website that promotes road races such as marathons, half marathons, 10Ks and 5Ks. This website does not directly compete with your business but they are likely to attract an audience that would be interested in and have a need for your products or services. Some business owners opt to start an affiliate marketing campaign as part of their overall marketing strategy. In most cases the affiliate marketing campaign is only a small portion of the overall marketing strategy but there are some business owners who opt to rely exclusively on this type of marketing. The main purpose of doing this is to save money while still achieving valuable advertising. However, once a business becomes more successful they should consider being more proactive and combining affiliate marketing with other types of Internet marketing such as placing banner ads and orchestrating an email marketing campaign. There are tens of thousands of products that you can promote on Clickbank and earn guaranteed commissions that you know will make it to you. Here are some of the different ways you can promote your Clickbank products that you find in the marketplace at Clickbank that you think will be good sellers for your customers. With most affiliate programs, you are offered a variety of banners to plan on your website, as very few of them will be effective. The problems with most banners are their size. If you choose a banner that is high in size, it will take a long time to implement and use. Therefore, it's recommended that you use banners no more than 15kb in size. When you select any types of graphical advertising, you should try and keep the theme of your website in mind. Even though graphical ads are meant to stand out and catch people's eye, they shouldn't be to the point where everything else on the page is completely ignored.